While the snow is still on the ground, you might not be thinking much about spring. Yet, spring is on its way, bringing with it a handful of outdoor maintenance tasks. In particular, your air conditioning equipment needs some preparation before you plan to turn it on. If you take the opportunity get a head start on these jobs now, you will enjoy more effective cooling, when the time comes. In most cases, property owners can delay pruning back trees and bushes until it is warm enough to hire a landscaping service. However, clearing the area surrounding the external air conditioning condenser is one exception to this general rule. Condensers require at least 12” of clearance on all sides of the machine. When branches and greenery start to encroach on the space, the condenser may not work as effectively. Accumulations of leaves and dirt nearby are pulled into the machine and sent through the system. As such, you should plan to trim trees and bushes to create an acceptable space for the condenser to function is vital. Changing the filters is the single most straightforward HVAC maintenance task for you to do. When the air filter is dirty, it slows down the process of heating or cooling, and can negatively affect the building’s indoor air quality. Usually, cleaning or changing the filter is all you have to do to improve HVAC output and even decrease allergy symptoms for those in the building. To find out if you could benefit from an air filter with a higher rate of filtration, ask one of the professionals at A. Borrelli HVAC. Ultimately, there are only so many jobs that can be done by property owners with minimal experience in HVAC maintenance. 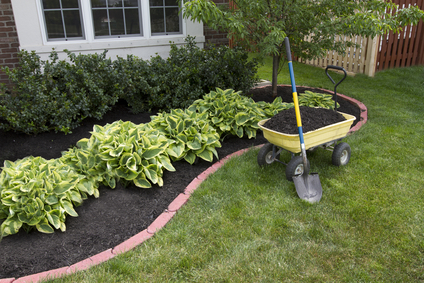 Arranging for seasonal maintenance is one of the wisest investments for the spring. HVAC equipment generally works without difficulty. Minor hazards can turn into big problems if they are neglected. The contractors at A. Borrelli Mechanical readily service and repair all HVAC systems, to extend the lifespan of the machines and to make home and business owners more comfortable. Before spring arrives, property owners need to make an assessment of their HVAC equipment’s maintenance needs. They can prevent several potential problems simply by clearing the space around their condensers and cleaning or replacing their air filters regularly. And then, with professional service from our contractors, home and business owners in New York City, Westchester, Putnam and Dutchess counties keep their HVAC systems running well for years to come.